World Travel Market – one of the most important travel fairs in the world. I was invited to attend my very first WTM at ExCel Exhibition Center London last week, and I could not be more grateful if I’m being honest. I met so many inspiring people from all over the world, I talked throught so many meetings and presentations, I witnessed so many wonderful exhibitions and admired beautiful stands of the countries from all over the world. As for the stands, there was a lot to admire! I personally enjoyed the whole Asian side. India, Malaysia and Thailand have done their best by bringing and introducing dancers, performers and chefs from their countries. People were able to experience the real shows while having a tasty meal. Costa Rica, for example, brought their plants all over to London in order to decorate their stand – the exotic feel felt unreal! Dubai’s stand looked so ‘rich’, while Cyprus was shown as a lovely little sea tavern. There is so much to say about tourism tendencies of 2017. There is no doubt that travelling has changed over the period of the last couple of years. Booking an affordable ticket and escaping to another continent within a couple of days ( or even hours) became some sort of reality, while the short distance trips to Greece, Spain or Italy began to ba a habit rather than an eagerly awaited once-a-year trip. People used to seek for the sun and some rest. In 2017 they would rather seek for the comfortable places to stay and the experience! By ‘the experience’ I don’t mean the camel ride in Egypt, but to feel the authenticity of a place they are currently exploring. Local cuisine tasting? In 2017 people would rather go for a cooking course! 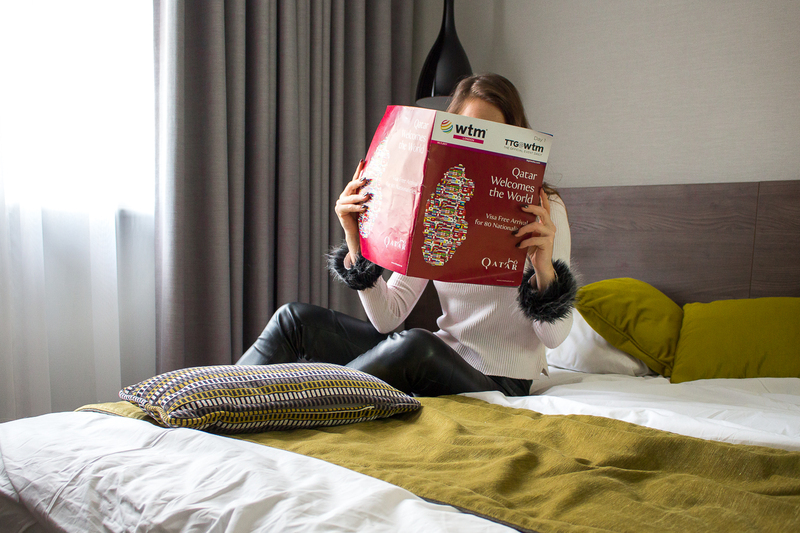 For this edition of WTM, I had a pleasure to stay at Best Western Plus Delmere Hotel, right in the heart of Paddington, which is one of the most beautiful and lively areas in London. Why would Paddington make a perfect headquarters? 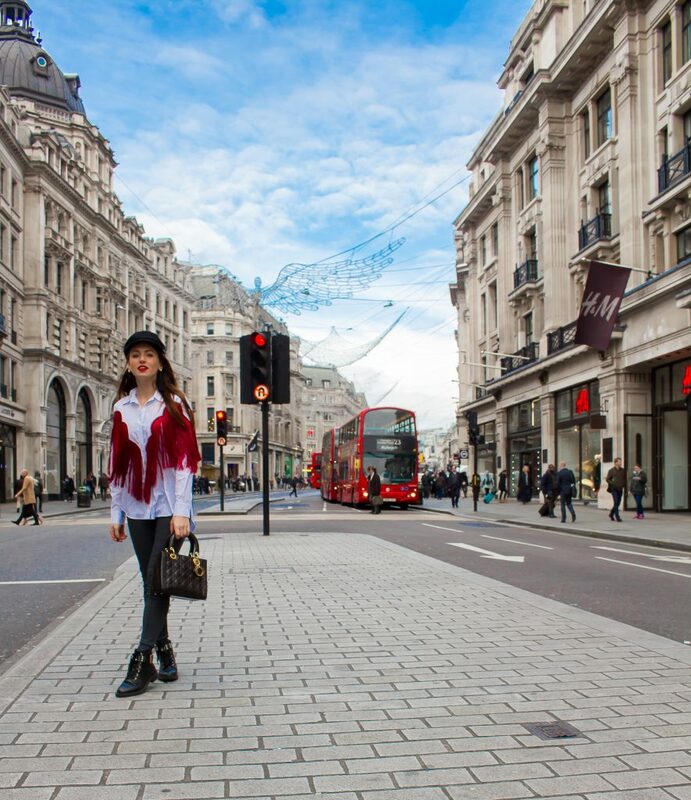 It is located a stone’s throw from Oxford Street (shopping), West End’s theatre ( culture), Kensington Museums ( sights) and iconic worldfamous restaurants and bars, not to mention Notting Hill being only 10 minutes away. 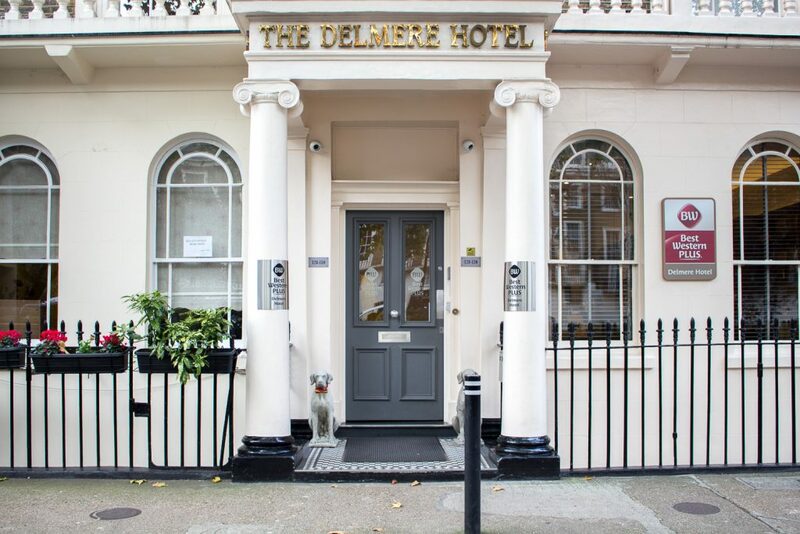 Delmere Hotel is located around 5 minutes walking from Paddington Station,where you can take a train that would take you to Oxford ( 50 minutes). This lovely university town is a perfect destination for a day! Best Western operates about 4,200 hotels and motels all over the world, which means you can find their venues in the majority of popular destinations. What I think is the most convenient about BW is their loyalty program – you can actually earn a free night (worldwide), exclusive discounts, constant rewards and surprises. Apart from that, you can get yourself their Travel Card you can pay for your stay with (cash or points). 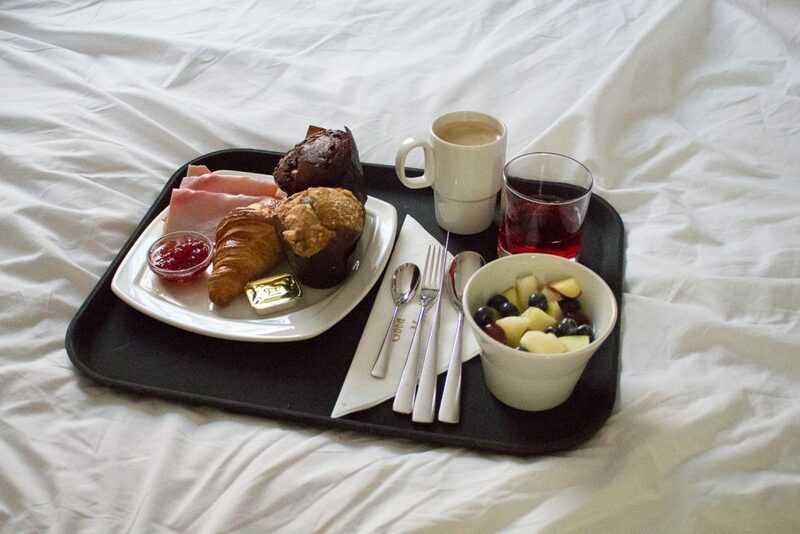 Best Western Hotels we stayed in were of a very high standard, professional staff and carefully selected breakfast – local food guaranteed! In London, for example, I had a lot to choose from. Apart from Delmere Hotel, I would also recommend to take a closer look at BW Victoria and BW in Mayfair. All those locations are great in terms of getting from the airport, as there are some direct trains while an Uber ride won’t take too long. One thing I would NOT recommend doing is a bus/taxi ride in the rush hour. It may cause a lot of stress and a loss of your plane ticket – and yes, it’s from my experience. I would always take a train, unless you have got quite a lot of time in advance or your flight is super early/late. Special thanks for LaMon fashion for sorting my wardrobe out! It is only the first half of November, but London has already started ‘arming’ for Christmas. I have always been a huge fan of Carbany Street, which unlike Regent and Oxford Streets, changes every season. This year’s colorful festive ornaments could become one of my favorite spots to look at. My newest fashion discovery? The luxury bracelet from Monaco Regatta, that is inspired by travels and beautiful places, and aspires to be a representative of the allure of the Côte d’Azur. You can get this little piece of a journey from here. Perhaps it could make a perfect Christmas gift idea? For my World Travel Market meetings I decided to wear VIDA cashmere scarf. You can read more about the brand here or in my previous post. 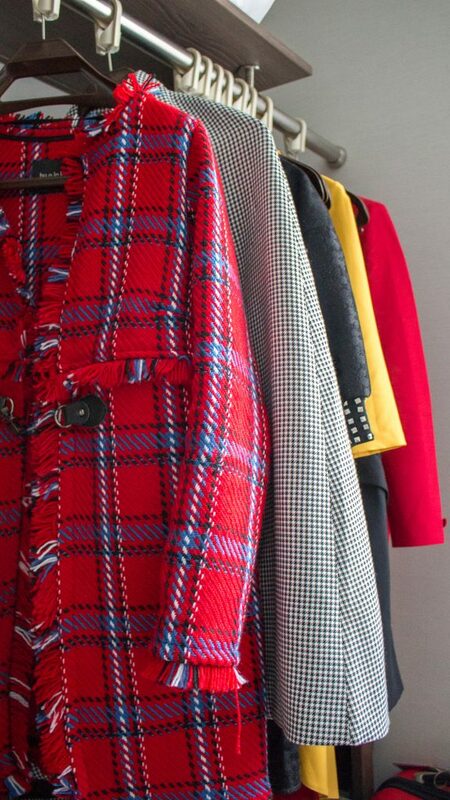 I am very proud to have the opportunity to be working with young and motivated fashion designers, who undoubedly deliver the best quality products! 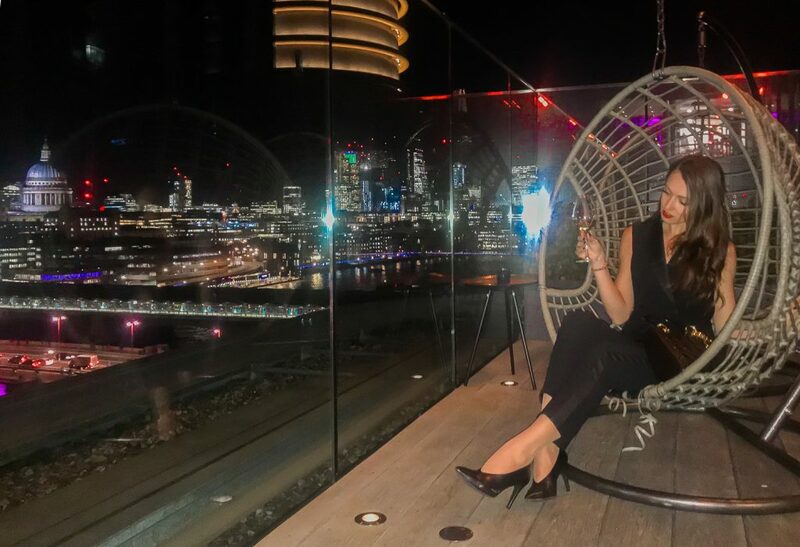 As for my venue discovery – I have fallen in love with Sanderson Hotel’s bar and its lobby, which I found out was quite popular among Londoners. The luxurious bar is located in Fitzrovia,which is in the heart of central London, right in a neighborhood of Soho (much more quiet!). Not only they serve delicious wine, but the interior looks fabulous! No wonder it is known as quite Instagrammable. In general, Sanderson is a great place to step by after a long day of sightseeing, as it’s not as crowded and only around 7 minutes walking from Goodge Street Station. Rumpus Room. 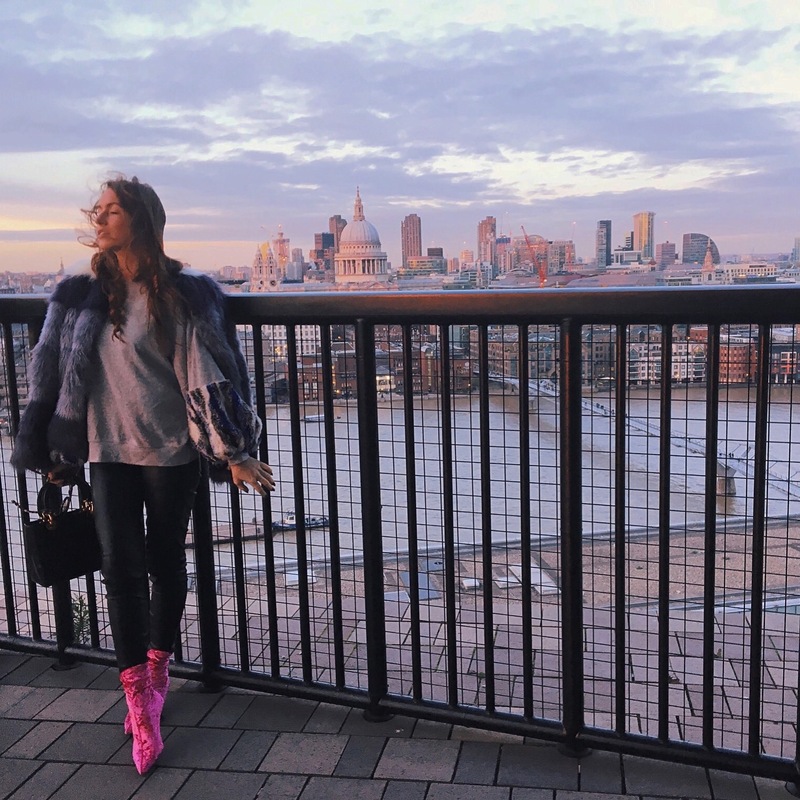 I found this place, located on the 20 upper ground floor of Mondrian London, a while ago and I keep coming back to get some rest and stare at my beautiful city from the rooftop ever since. The view is incredible, with St Paul’s cathedral right in front of the venue. 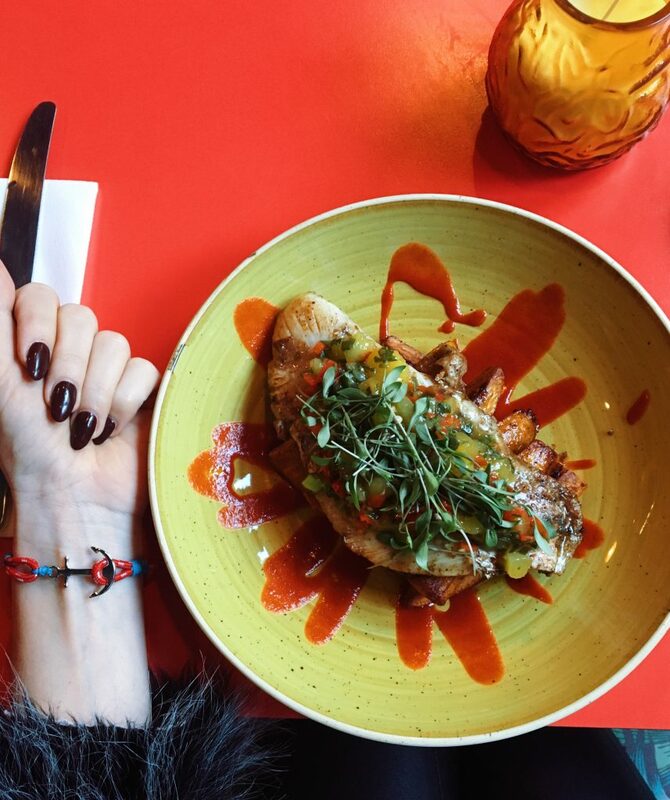 What I love about Rumpus Room is not only the view, but their lively colorful interior and quite dedicated menu! What I would definitely recommend is to order is a bottle of wine with some chips with truffles on the side. 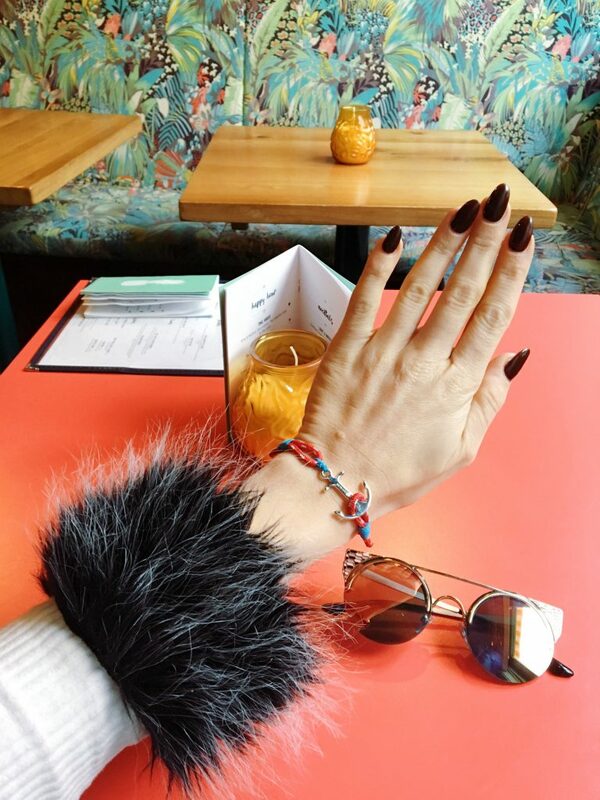 They also serve cocktails, but I am usually not the biggest fan of them – I only order coctails when I am out with my bestie, who works in one of London’s most iconic bars and makes me cheat on my usual ‘glass of red’. Culinary revolution of my November 2017 routine – The Rum Kitchen Notting Hill. I keep saying me and my love are rather demanding when it comes to restaurants, and even the local cuisine. We tend to like spicy dishes, preferably with a lot of flavor. The Rum Kitchen has it all! I ordered super tasty grilled red snapper, and (I am not over-exaggerating) it was the best snapper I have ever had in my life. Full of Caribbean flavors and perfectly spicy. I would not, however, recommend this venue for delicate eaters, as even beverages taste quite hot. Apart from Notting Hill, they are also located in Carnaby ( where I am heading next) and the capital of spicy food, Brixton. What I recon would be a good tip is to head over to TATE MODERN. I don’t want to convince anyone to modern art – in fact I personally prefer Saatchi Gallery over Tate in terms of exhibitions, but the view from the balcony on the 4th floor is breath taking and the entry is free. 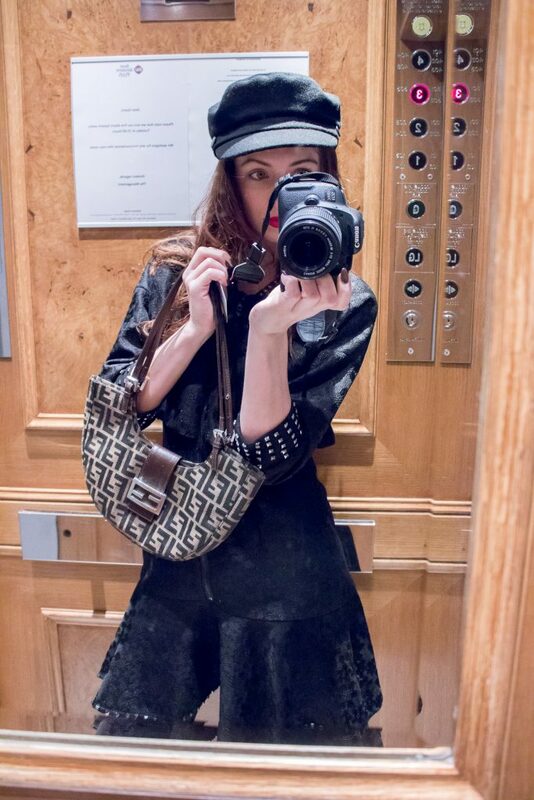 Totally love all your outfits, so stylish! The hotel looks very pretty and the location is fab. Every single look is so chic! Dying over that cape. What a wonderful hotel too. Woooow, how cool does that Sound? And I love all your pics and your gorgeous Outfits! Love the total red look!! The pics looks amazing!!! Great post and nice photos! Have a happy day beauty. It looks like you had a great time ! I love how your stylished look, so beautiful ! If you’re interesting there is a give away right now in the blog. To win one of the prizes you just need to follow me on instagram and comment the contest photo in instagram. Oh wow looks so fun, all these amazing impressions. Beautiful photos! Love all you looks! Gorgeous! It looks like you had an amazing trip, your photos look so good. Also, loving all of your outfits, too. So in love with the absolutely perfect looks! This sounds like such an amazing event! It is crazy how much the travel industry has changed throughout the past couple years, but we LOVE it! It makes it so much easier for people to see the world. So glad you got to go to this! You looked amazing! Beautiful city photos! 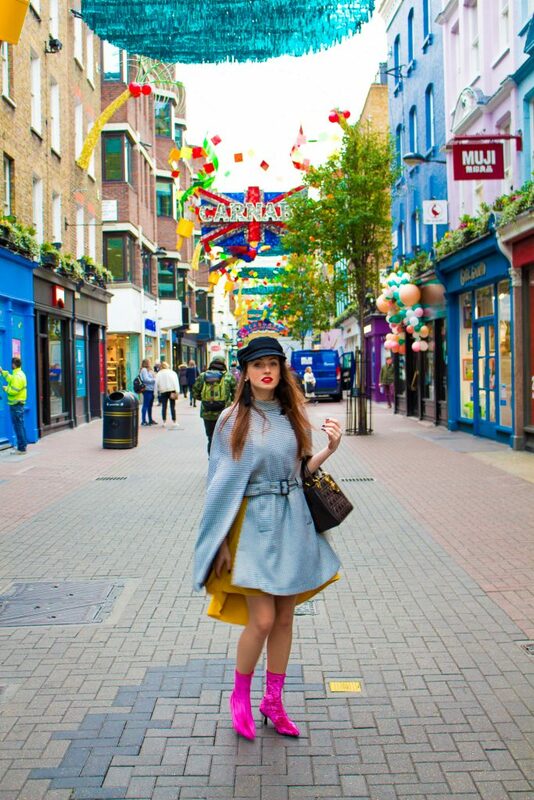 I especially love the photos of the decorations on Carnaby Street. What a fun take on Christmas decor! Lovely pictures – and damn, only a few people can kill it with some pink boots! 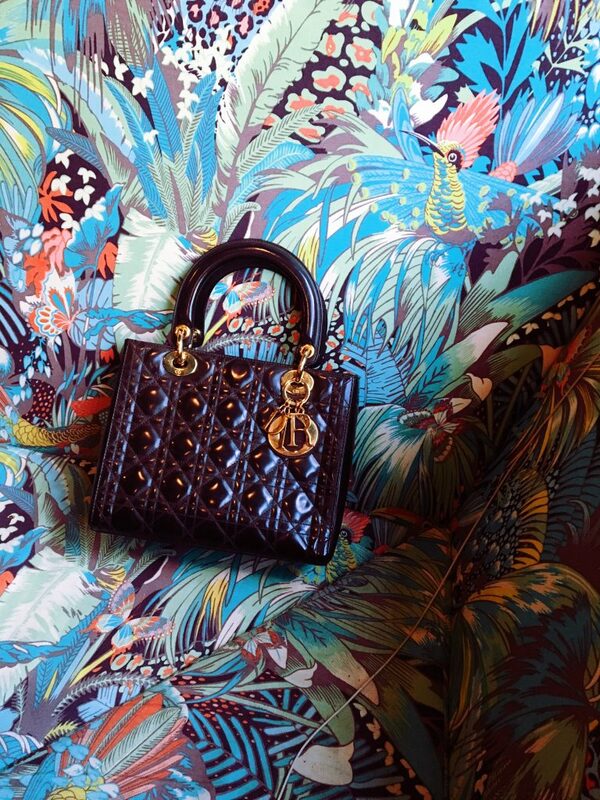 Love the style! I always recommend a trip to the Tate Modern – free, great art and also you can charge your phone if you are out of juice and have your charger. Glad you enjoyed the WTM – any emerging destinations? I’m obsessed with those pink boots! But every single one of these outfits are stunning; gorgeous! Never even heard of the world travel market! But it definitely sounds like you had a blast! I’m going to my first rooftop bar in Chicago in January, and seeing your pictures of the one in London makes me so excited! The last picture also looks pretty spectacular. Hope one day I’ll be able to do this too! Lovely photos! Love the porch, oh so British! These pictures are stunning – you look beautiful!! What a fabulous adventure. Wow this sounds like such a neat Market! I didn’t even know about it, but what an incredible experience! You’re outfits are so cool! Looks like you had a fun time in London! Beautiful pictures! Your blog is so well written. Well done! All pics seem very nice. Thank you for your sharing. Im in love with you red suit dress. So elegant, and fab. Hope you enjoyed WTM! Isn’t it the craziest, but best week?! 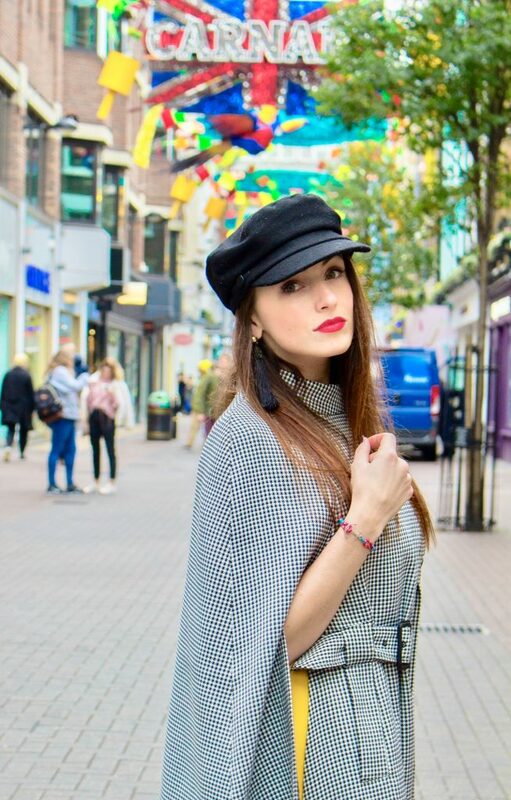 Awesome shots and loving those stunning outfits! I need to travel more and gosh these photos look so great!! Sounds like you had a wonderful time! 🙂 I sadly couldn’t make it but am glad to hear you thought it was a good event, maybe next year! What a cool experience! I have never heard of the World Travel Market before. Great photography! Sounds like you had a lovely stay! Claudia, Oh this is why I love travelling! omg, I just wish I could be at each of these places you were! !